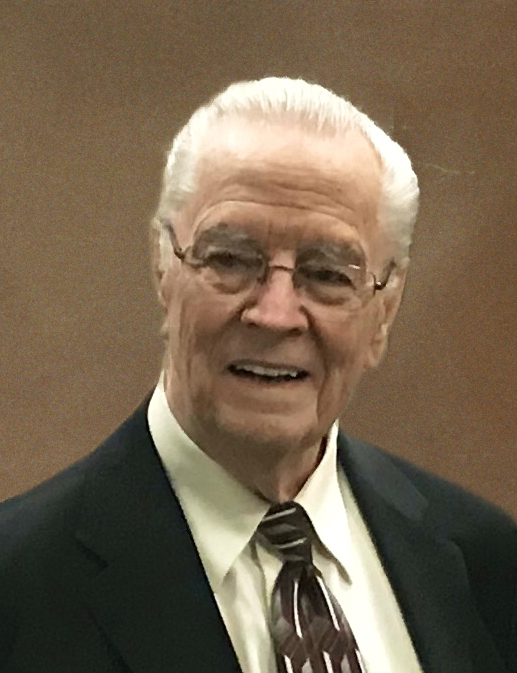 Glade Lynn Burgon, 91, passed away Saturday, April 13, 2019 at his home in Farmington, Utah. He was born January 24, 1928 in Union, Utah, the son of Albert Edward and Bertha Elizabeth Hansen Burgon. He served in the New England States Mission (1946-1948). Married Laura Palmer July 26, 1949 in the Logan, Utah Temple, beginning a love story that lasted seventy years and now continues through eternity. Glade received his Bachelor of Science, Master’s Degree (Bible and Modern Scripture), and PHD (Ancient Scripture) from BYU. He spent his career as an educator in the Church Education System. Positions with CES included Seminary Teacher in Circleville, Provo, and Pleasant Grove, Utah; Institute Director and Instructor at Long Beach State College and University of California at Berkeley; and Instructor at the Utah State University Institute of Religion. While Glade served in numerous ward and stake positions, his greatest influence was felt in the classroom teaching the gospel to young and old alike. Glade had a passion for life whether it was reading, flying, fixing things, listening to classical music, or camping with his family. He was able to see God’s hand in the beauty of all His creations. He shared his testimony through composing poetry, prose, and music. Glade will be remembered for his humility, humor, and intellect as well as his strong testimony of Jesus Christ. He was preceded in death by his wife, Laura and son, Rex Palmer Burgon. Surviving children are Barre (Karen) Burgon, Tim Burgon, Sandy (Sherrie) Burgon, Lauri (Hayden) Felt, Pamela (Matt) Peterson, and David (Shawna) Burgon along with 23 grandchildren and 38 great-grandchildren that he dearly loves. Funeral services will be held Thursday, April 18, 2019 at 1 p.m. at the Orchard Ward, 1533 N. 1075 W., Farmington, Utah. Friends and family may call from 11:30 a.m. to 12:30 p.m. prior to services at the church. Interment, Bountiful City Cemetery. Special thanks to Intermountain Health Care & Hospice.